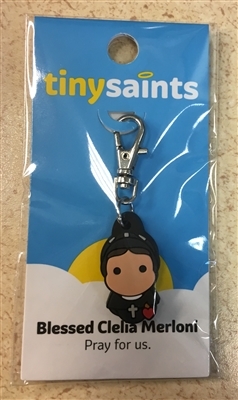 Blessed Clelia Merloni clip on keychain by tinysaints. Clelia Merloni, the founder of the Apostles of the Sacred Heart of Jesus, was just recently beatified by Pope Francis in November 2018. Limited edition! Perfect for clipping on a keychain or backpack.